supply of pellets/wood for heating in the stove. 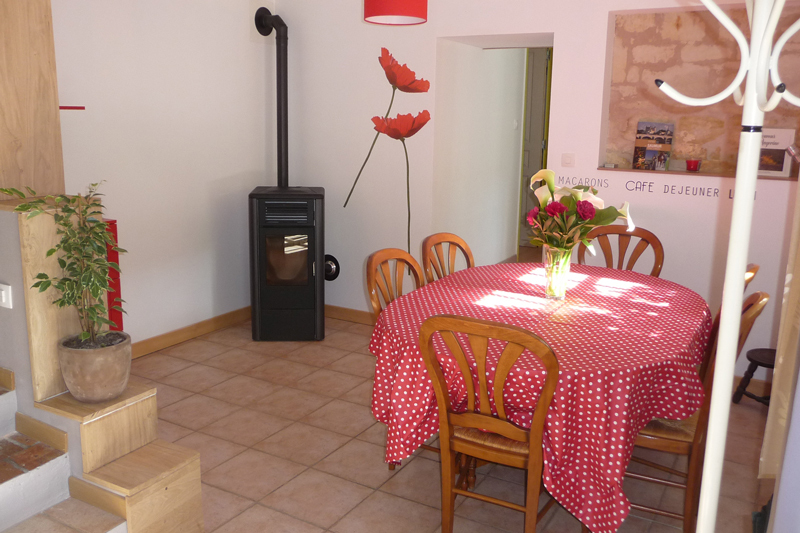 The entries start from 17:00 and departure before 10:30 (time required to prepare the cottage). Payment by credit card, transfer, holiday vouchers, cash. Sleep and live well on the ground floor! bedroom with double bed 160 x 200 cm. 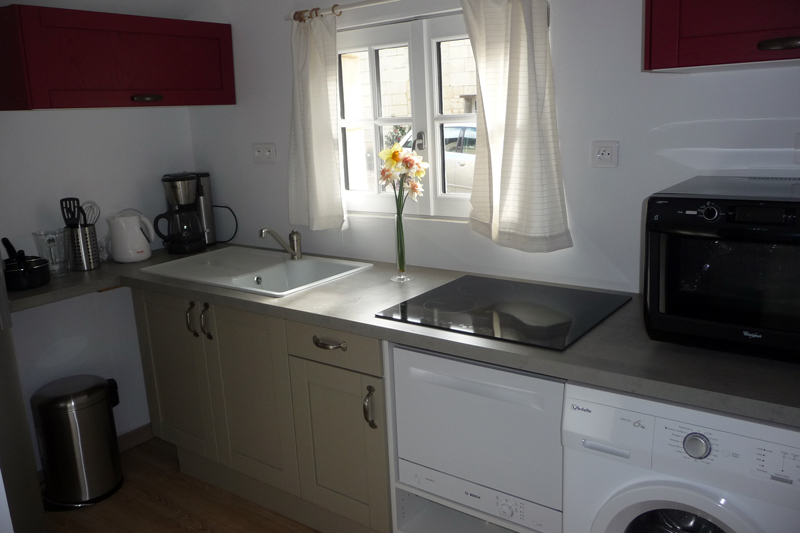 fitted kitchen with oven / hob / washing machine / dishwasher etc ..
Rest and relax on the 2nd floor! 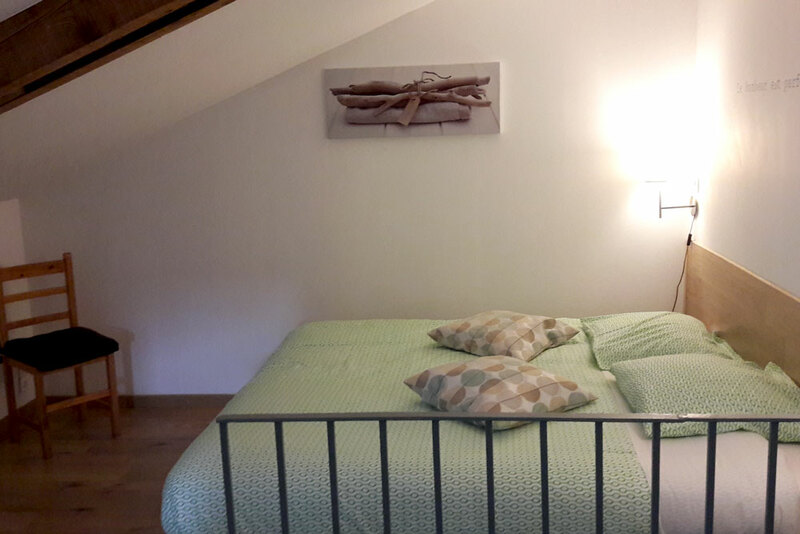 bedroom with 2 single beds 90 x 200 cm (new bedding), or 1 double bed 180 x 200 cm. 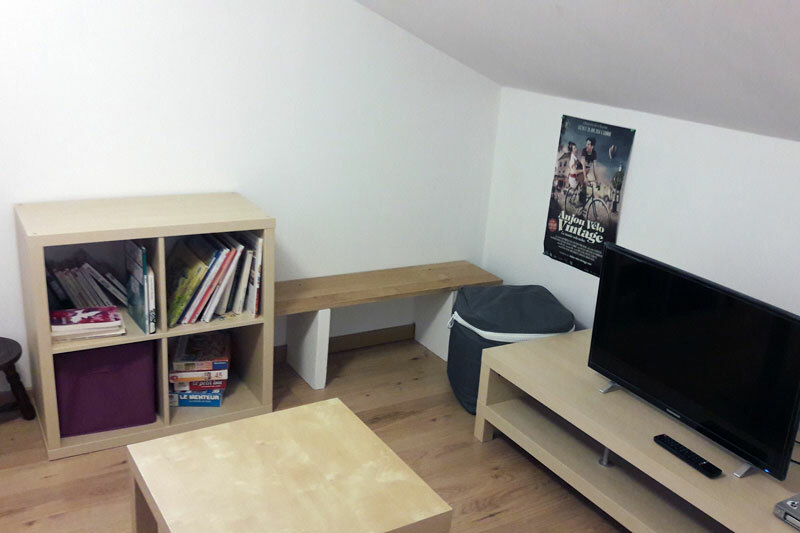 TV lounge / board games / library: a leisure corner for the comfort of all where it is possible to sleep baby in peace for the rest of the family. Take full advantage of nature! 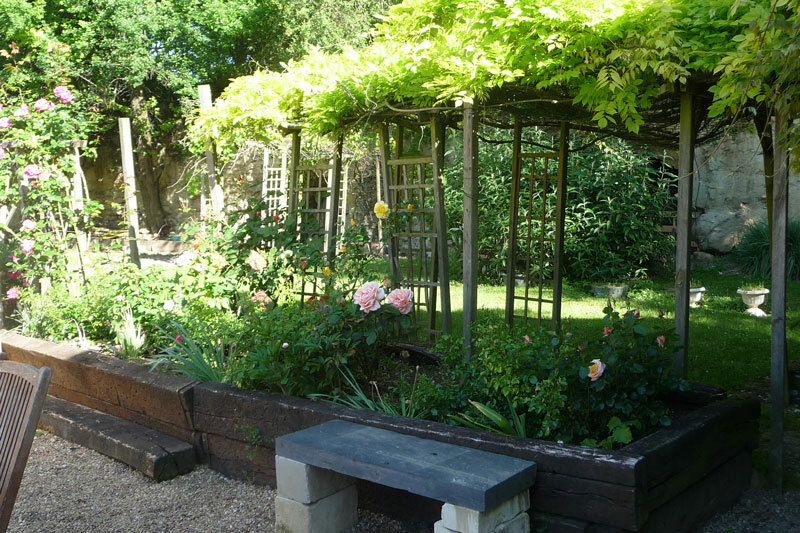 A garden to hang out or run! We will install lounge and sunbeds in these areas of greenery that are also appreciated for playing, walking around the flowers, fruit and troglodytes. 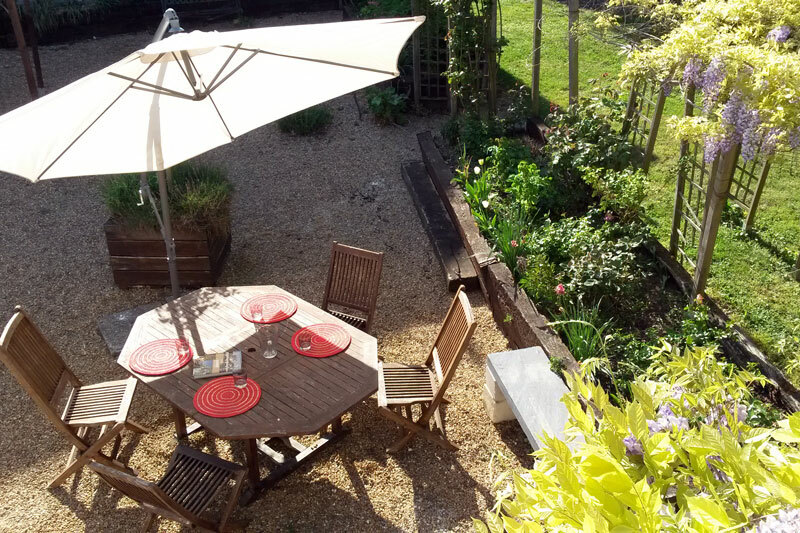 Located in a troglodyte site, the cottage L'Orée des Fleurs 4 rated, welcomes you for a stay in Grézillé - Gennes, Val-de-Loire between Angers and Saumur. 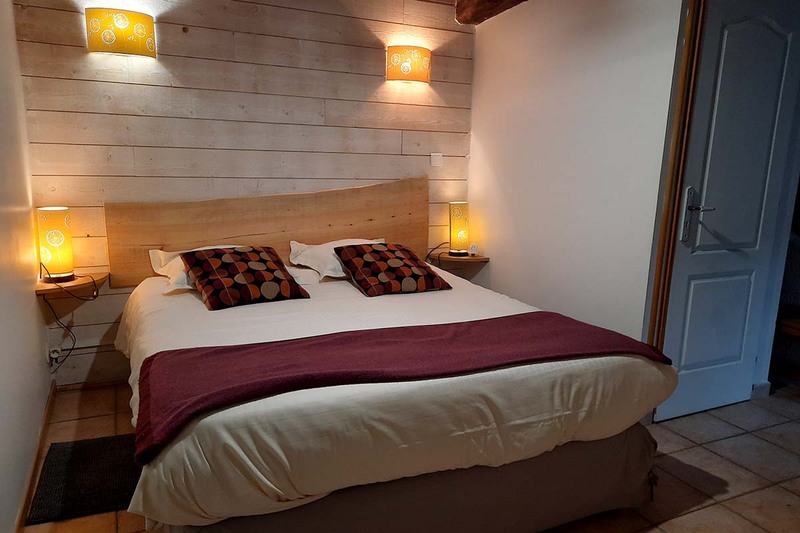 You will be in a house built of tuffeaux stones and renovated from the ground up in 2015. You are in the middle of vineyards, forests, hiking trails and other natural areas. 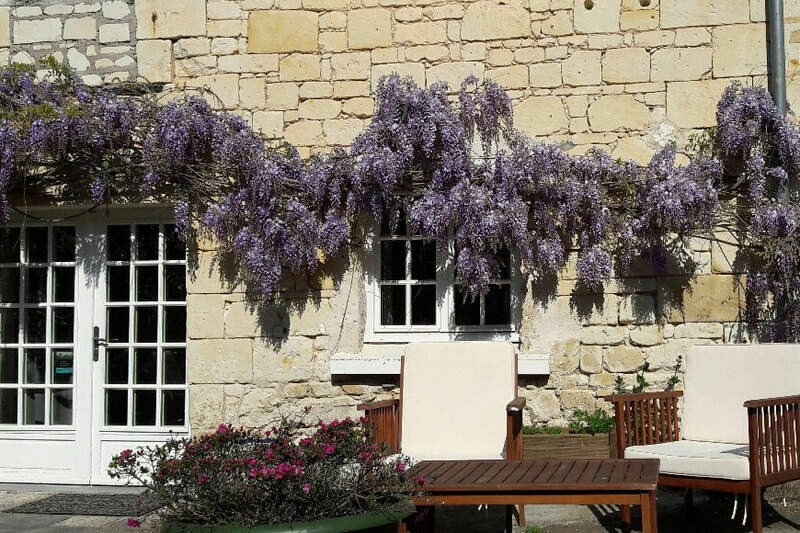 If you feel good in a quiet, spacious, flowery, natural and genuine setting, the cottage L'Orée des Fleurs was designed for that. 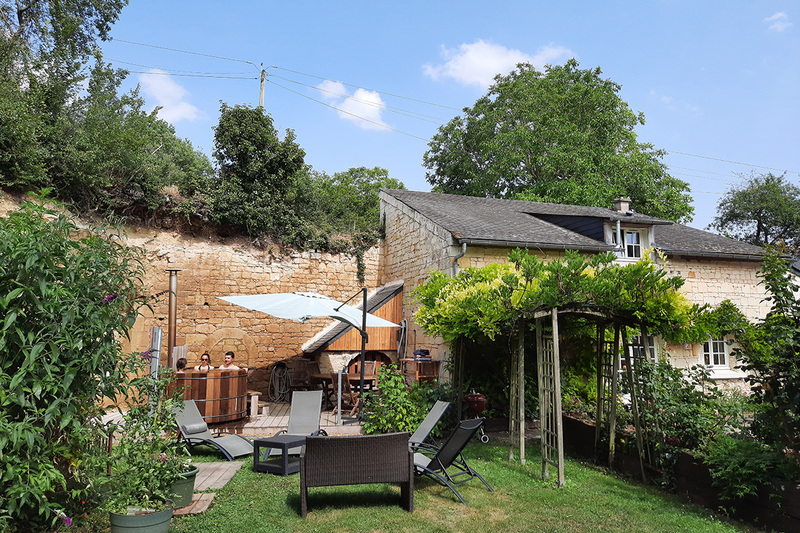 You will be ideally placed to discover the bounties of Anjou: castles, Loire Valley, vineyards, troglodyte sites, not to mention the majestic and wild river Loire. 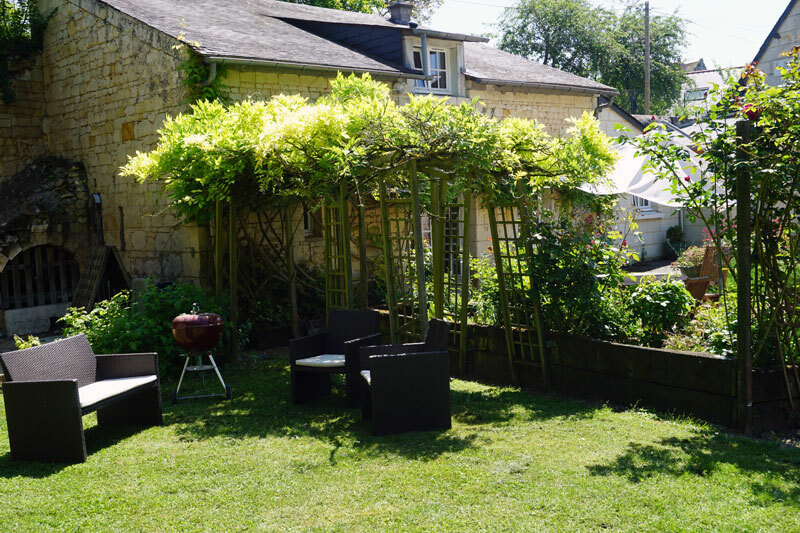 The rufurbishment of the Little House has been designed to make your stay comfortable, peaceful and equipped with the autonomy you are expecting. Capacity of 5 people. See you there. Christophe, owner. Wine lovers : advice of good spots!